Added on February 22, 2016 by Scott Cunningham. O, Miami is proud to announce that we are the winners of FEAST MIAMI #6. FEAST MIAMI is a series of pop-up, vegan dinners dedicated to supporting artistic and cultural work. 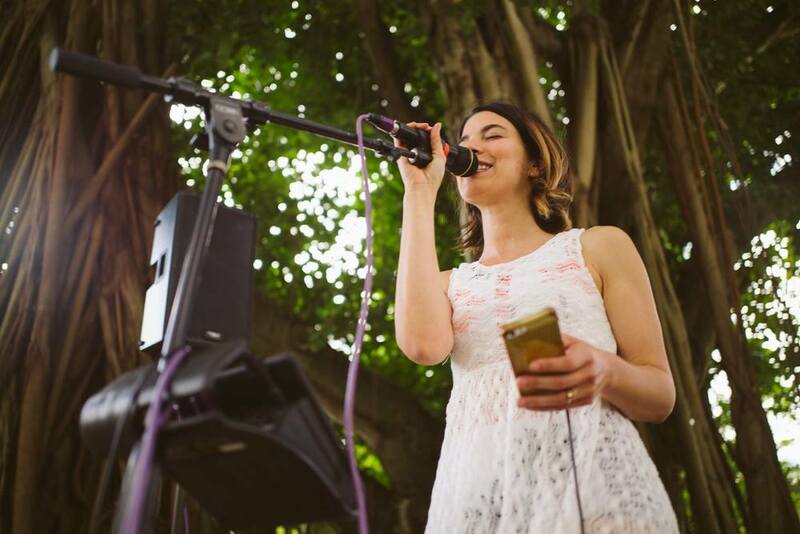 O, Miami's Laurel Nakanishi applied to FEAST to support her teaching residencies at Poinciana Park and Orchard Villa elementary schools in Liberty City. These classes, which introduce 3rd and 4th graders to poetry over the course of ten weeks, are part of O, Miami's Sunroom program, which pays poets to teach in communities where high-quality writing instruction is not guaranteed. We're very grateful to FEAST and to the FEAST attendees who voted for us, and we were very honored to share the evening with the following projects.